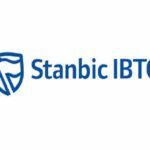 Stanbic IBTC Bank Ongoing Job Recruitment for Client Service Officer -Artillery, Head, IT Audit and Relationship Manager, Private Banking that be Dedicative to their Jobs and also play their Role very well. These Vacant Positions are Located in two different States in Nigeria and every Applicant that meet the requirements for any of the positions is expected to carefully follow the application procedure below to apply for a job in Nigeria through Stanbic IBTC Bank career website. What are the Responsibilities of a Client Service Officer? Attend to telephonic queries regarding cheque books. Receive and handle ATM cards according to laid-down policies and procedures. Ensure the ATM cards are locked away overnight. Dispatch and receive ATM cards to/from away branches. File ATM cards in received-date order. Handle retained ATM cards according to laid-down procedures. Attend to all telephonic enquiries regarding ATM cards. Identify cross-selling and migration opportunities and sell products/services reactively. Participate in tactical sales/marketing activities as required. Processing of client withdrawal application. Processing of deceased person benefit withdrawal. Render daily report on applicable platform. Processing of client change of account information. 0-2years banking experience, preferably interfacing with customers. Experienced in upholding the highest levels of service. Experience in completing credit applications successfully. Interpret financial statements; assess sources of income and basic customer affordability calculations (debt to income ratio, loan to value ratio, instalment to income ratio, etc). Demonstrate high levels of computer literacy – able to capture/update customer database, successfully complete product/lending applications, ensure credit maintenance, etc. Provide assurance to Audit Committee that processes and systems are working effectively and efficiently, and in conformity to policies, standards and best practices. What are the responsibilities of the Head, IT Audit? Develop IT service approach and continuously align to industry best practice, GIA Strategy and relevant Audit Portfolio Business unit strategy. Ensure a balance of optimal risk coverage and effortless and efficient service delivery through partnership and reliance on work performed by management, group risk, external auditors, and regulators. Participate in implementation of IT projects. Review and ensure that ICT security is adequate, effective and efficient in all areas viz a viz: Authorization and repudiation controls, Physical access controls, Logical access controls, Environmental controls, Administrative Controls, Communication and network controls. Review applications/ systems to ensure functionality, availability and processing controls like segregation of duties. Assist in the implementation of information system projects and ensure that the relevant controls are in place from on set. Generation of reports for investigation using ACL. Investigate IT related problems/ issues. Contribute to development of the GIA Annual Audit Plan applying a risk based approach. Perform regular risks assessment to maintain the relevance of the annual plan, assessing both internal and external risk factors. Deliver on all planned/agreed/allocated audits/advisory/proactive assurance on change the bank assignments (as per annual plan or added to plan as per management request) in the allocated audit portfolio. Deliver allocated components of the audit/advisory/proactive assurance assignment and report on these according to the GIA methodology and GIA quality standards. Implement and contribute to continuous enhancement of quality control standards and toolkits for audit assignments. Develop and continuously enhance the service delivery framework components under the custody of the allocated audit service area. Ensure that the knowledge database is kept up to date with key portfolio information. Stay abreast with best practices, industry regulations, risks, audit techniques and tools through research, association with profession bodies, etc. Minimum of 10 years’ experience part of which must have been in the Internal Audit department. 5-7 Years Experience in Practical working knowledge of business processes and controls as well as business applications that support them. What skills do you need to be the Head, IT Audit? Knowledge of Internal Audit International Professional Practices and apply them to improve the audit methodology, and as a quality standard for audit engagement deliverables to ensure continuous improvement of the audit function. The ability to assess governance and control frameworks against the appropriate risk appetite and enhance the risk management culture in line with the organisational objectives. The ability to communicate information and ideas in a clear and concise manner appropriate for the audience in order to explain, persuade, convince and influence others to achieve the desired outcomes. The ability to initiate and manage change, continuous improvement and innovation and encourage others to do that same, while assessing risks and barriers for change and adapting audit activities. To develop and maintain a portfolio of important revenue generating client relationships within the defined affluent market segment. As the primary point of contact for affluent clients, PBRMs sell, deliver and provide on-going service for a broad range of fee income and retail banking and investment products and services appropriate to affluent client. Sales – 4 NTB accounts/week/RM, which translates to 16 NTB accounts per month and 192 per year. Accountable for developing and implementing an integrated customer marketing plan, which addresses wealth creation, wealth preservation, wealth enhancement and lifestyle enhancement ; this is achieved through an in-depth analysis of the clients balance sheet so as to identify opportunities and match these opportunities to products/ solutions provided by the group. Monitor the delivery of different groups (Wealth, Lending, and Transactional) as well as other specialist product and service providers against customer plan. Grow portfolio profitability through the utilisation of available multi-channel delivery strategies, such as actively managing customer migration onto electronic banking channels. Manage customer migration between segments, sub–segments and the Private Banking business. Proactively and timeously identifies potential problem accounts and formulates appropriate risk mitigating strategies. Understands clients risk profile and maximises the ‘risk vs. reward’ balance for individual clients by optimising product mix. Provides personalised services to clients.Cross selling products to existing business customers and prospects and makes referrals to branches and other lines of business as appropriate. Comply with rules, regulations, and legislation governing the financial services industry. What are the responsibilities of a Relationship Manager? Client profitability and Risk Management. Cross-sell existing bank and group financial product and services to obtain greater share of wallet. Resuscitate, retain and increase revenues from dormant, current and new private banking relationships. Manage and own relationships with up to 200 clients in portfolio. Job is largely a sales and marketing role with much time spent out marketing with a fair amount of travel for presentations and marketing of banks product and services. Maintain close contacts with clients in the portfolio to establish an intimate knowledge of client’s needs. Build incredible internal network within the group, to ensure the synergies and teamwork needed to maximise sales opportunities and optimise service delivery. Develop strong partnership with Transactional bankers and rest of suite team to ensure excellent and seamless service. What qualifications do you need to be a Relationship Manager? A First degree or equivalent in any discipline and relevant professional certification in Banking, Business and Finance such as Chartered Financial Analyst (CFA) or Associate of Chartered Institute of Bankers (ACIB) from the Chartered Institute of Bankers of Nigeria (CIBN). A Master’s degree in Business/Finance or its equivalent would be an advantage. Minimum of 7 years relevant banking experience, preferably in a customer facing role and strong relationship management. A 1st degree is essential and a 2nd degree or a professional qualification in a related area will provide a sound foundation upon which job experience can be built. 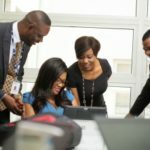 What skills do you need to be a Relationship Manager? Copyright © 2017. Created by Innocent Enyereibe. Powered by ApplyForAJob.